In the spirit of trying new things I thought it might be an idea to showcase today’s giveaway through the medium of film so you can find out a bit about why I picked these items for you! Great stuff! This giveaway marks my Londonversary and what better way to do so than share it with you. 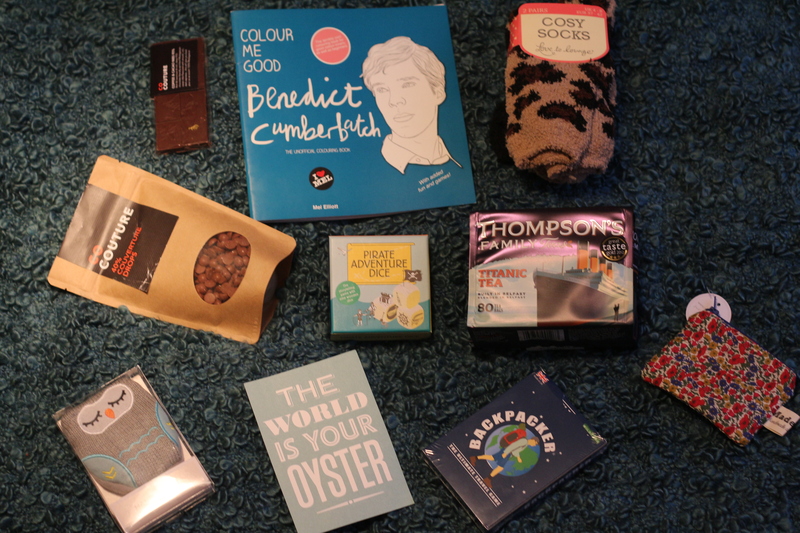 To be in with a chance of winning this lovely lot all you have to do is either follow my blog on WordPress – you can do this if you are already a WordPress user – or follow via a site called Bloglovin’. Both buttons can be found at the top right hand side of this post but if you have any problems just comment below and let me know! There will be one winner and I’ll happily ship to anywhere so no matter where you are in the world you can be in with a chance of winning. You don’t need to do anything other than follow the blog but if you’d like to share it with your friends on Facebook, Twitter or anywhere else that takes your fancy please feel free to do so!